One of the main advantages of starting a business from home is the potential for keeping the costs low. That said, it would be a mistake to think that working from home is ‘free’ – there are other startup costs to consider and budget for. Business is business, whether you’re working from home as a consultant or running a concern offering prefabricated storage facilities for the agricultural industry, so it’s important to be fully aware of the financial considerations. You’ll probably require some funds to kick things off, so budget realistically for these. 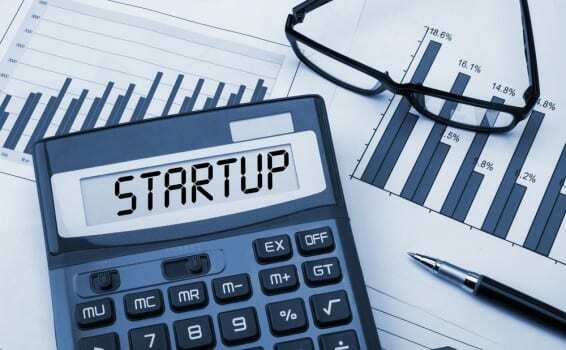 Add up your start up and likely running costs and determine how soon revenue will start flowing. In some cases, income lags behind sales, so ensure you can handle this financially and avoid falling foul of the sort of cash flow issues that hamper many new businesses. If you need funding, factor in the costs of borrowing from whatever source you use. Also, when setting up financial facilities such as business banking, ascertain what costs these may incur on a regular basis and budget accordingly. It’s highly advisable to create a financial buffer to protect against unforeseen problems or, as discussed above, a time lag in getting paid by your customers. Cash flow can hinder or even spell the end for many otherwise strong businesses, so prepare accordingly. Three to six months’ worth of money equivalent to start up costs added to monthly costs would be an ideal buffer. You’ll benefit from the services of an accountant even if it’s only on the run up to tax assessment time to prepare your books and ensure everything’s in order. You may consider using an accountant periodically to analyse your financial position and advise you, so factor in the costs. Some can come up with a ‘package price’ for agreed specific services so you can budget accurately. You may be able to create a workspace using equipment and resources you already own such as a computer, home internet connection and maybe a desk or work surface but don’t force yourself into an uncomfortable or unsuitable working environment for the sake of a small investment. You may need to invest in items such as filing cabinets to store key paperwork or maybe you’ll need to buy a sturdy desk or work station. Used office furniture is a cost saving option. Even basic stationery supplies to get you started can soon mount up, so make a list of what you need with prices. You may already own a computer that’s suitable for your business but if not, or you feel an upgrade is important, then factor in the cost of a new or nearly new one. Be mindful of software costs; maybe you’ve just left an employer who paid the subscription for essential software you used – if you’ll be using the same package your business will be paying for it from now on and this could be a significant investment. When you start a business you need to be mindful of the relevant regulations. Every business should comply with basic data protection and health and safety laws. In addition you need to check if there are any specific regulations or licenses required for your area of work, for example food hygiene certification if you have a food business. Do a check of the relevant regulatory requirements and then ensure that you reserve budget to keep your business compliant. Easy to overlook when running a home business, but insurances can add up depending on what you might require. Perhaps you need to carry some professional indemnity cover or public liability insurance; find out what you need, shop around for the best cover and add this to your budget. Depending on your circumstances prior to setting up your home business, you may have been earning a steady salary elsewhere. Will your earnings be impacted – at least initially – from running your own show? Have you budgeted for your earnings maybe reducing for a while? Even if you expect to earn the same or more than previously, are you putting some of your own money into the business at the outset? If so, factor in when, or if, you expect the business to pay you back. You may be starting your own business with a roster of clients already in place but take into account the costs of promoting yourself – this especially applies if you’re entering a new market place with your product or service. There are now many low cost ways of reaching a market, but consider what methods you’ll use and budget for them accordingly. Don’t forget to factor in your website costs; even if you’re designing it yourself you’ll require a domain name and hosting and maybe some graphics work. It’s possible when you add up the initial and ongoing costs the cheap home based business you thought you were embarking on will cost more than you first realised – it’s certainly wrong to see this as a ‘free’ option. It may or may not make it still viable, but at least you’re fully aware of costs and can make a viable business plan.